Newcastle boss Rafa Benitez questioned referee Graham Scott after Wolves' controversial late equaliser. It was the second time Newcastle had conceded an injury time goal to Wolves after Matt Doherty's winner in December. Benitez said: "In England they don't understand the rules. I can say many things but it will not change anything. "I didn't like the challenge at the end. You have to protect the keeper. We have been here for years and it's still very difficult to explain that. "Maybe it's a foul before on (Miguel) Almiron too, you can say many things but it won't change what happened, like in the first game. "It is a bad way to concede. We had one more point but it is a pity because we could have had three. "You can analyse it but I'm really disappointed to concede this way against a good team." But, despite conceding late, Newcastle have won seven points from their last four games and also gave a second-half debut after his £20million move from Atlanta last month. 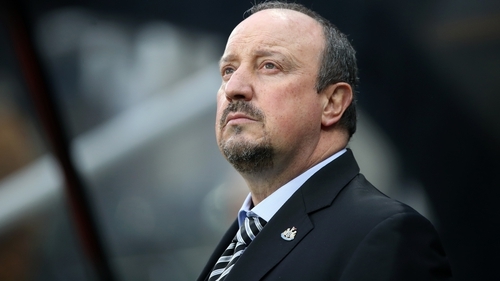 Benitez added: "I'm happy with the performance of the team, we were controlling but it's not easy. I'm happy with a lot of things but disappointed with how we conceded. "The disappointment is for everyone." "Until the referee whistles we keep going. We're really pleased because it's something we must keep on doing," he said. "It came and it brought some justice. We have had a lot of moments like this, sometimes it give you the win, sometimes it doesn't. "It's not about the point, the story of the game could have been different as the first half was totally controlled. "What I'm disappointed with is to concede, we must be compact and we allowed Newcastle too much time to decide the final pass."